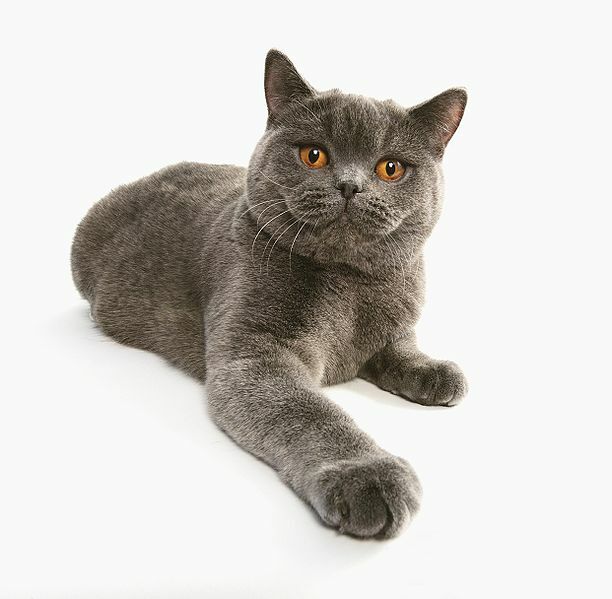 The British Shorthair was one of the first breeds of the cat fancy and their origins can be traced back to cats that were imported from Egypt with Romans when they invaded Great Britain. The founder of the cat fancy, Harrison Weir bred these cats and in particular British Blues. This robust cat breed was one of the most popular cat breeds at the early shows. Between 1914 and 1918 cross-breeding was done with Persians and the longhair gene was introduced. The shorthair cats were part of their own breeding programs whilst the longhair cats were made part of the Persian breeding programs. The Governing Council of the Cat Fancy declared after WW I that only 3rd generation offspring of the British Shorthair / Persian crosses could be shown, with the result that breeding stock drastically reduced. 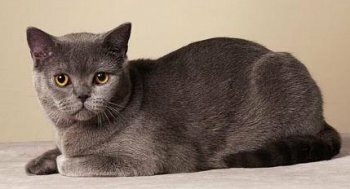 The shorthair breeding lines were doomed to be lost after WW II, but a couple of breeders got together and crossed the British Shorthair with domestic shorthairs, Russian Blues and Persians. By the 1970's, the British Shorthair cat breed was almost back to its former glory. In June 1979, the British Shorthair achieved championship status with TICA. 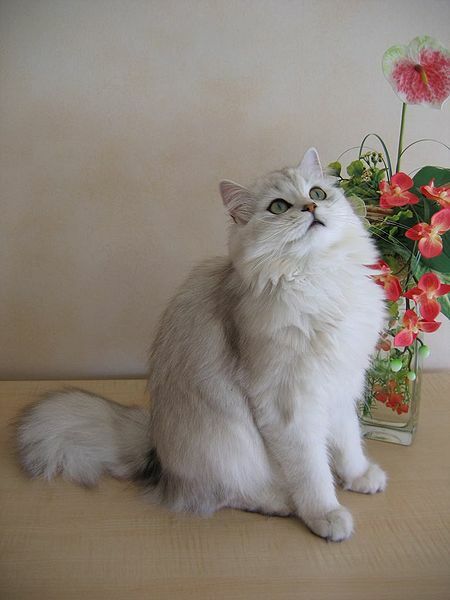 The longhair version of this cat breed only obtained championship status with TICA in May 2009. This cat breed is medium to large sized with a powerful, compact build. The chest is broad and the legs are short but strong. The tail is also short but quite thick with a rounded tip. The coat is dense and plush – almost like a luxurious pile carpet. The eyes are large and round and can be a copper to a deep gold color. The classic blue color remains the most popular for this breed, but there is almost no limit to the range of colors available. These cats have round heads with short noses and chubby cheeks. The prominent rounded whisker pads give the cat a permanent smile. Grooming is easy where the shorthair breed is concerned. The coat does not tangle, so a weekly brushing is enough to keep the coat is perfect condition. The British Longhair needs a daily grooming session as the hair tangles and mats easily. A bath is required regularly to keep the longhair coat in top condition. Both the shorthair and the longhair breeds are solid cats that can weigh from 9-18 pounds. As these cats are sedentary, care should be taken to prevent them from becoming overweight. These cats are affectionate but undemanding. They are loyal and devoted but don’t expect them to be lap cats and don’t expect them to like being carried around. Both breeds are tolerant of children and other pets, but are quite content to amuse themselves whilst alone. The males of this breed seem to be friendlier and more affectionate than the quiet and unobtrusive females. You should spent time playing with these cats as they have a natural tendency to become overweight. Toys that get them running and jumping provide the necessary activity and exercise. The robust and chunky cat breed has a tendency to become overweight. You can prevent this by following the feeding instruction closely on the cat food packaging. No serious health issues are known of, but there is one medical oddity - the blood type B is very rare in the British moggie but it is the blood type of around 40% of all British Shorthair cats. 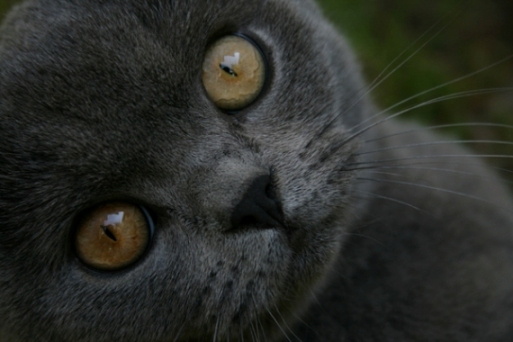 Do you have a story about your British Shorthair cat that you would like other cat lovers to hear about?